From now till September I’ll be profiling some of the historical personages and places you’ll meet in my next novel, Summer Of Long Knives. I wanted to start on the cheeriest possible note, which is tough considering my book is overrun with Nazis, so I thought I’d introduce you to Hermann Goering’s younger brother, Albert (1895-1966). I came across the younger Goering while researching his brother. The two had a complicated relationship, primarily because of politics. While Hermann was one of Hitler’s leading henchmen–founder of the Gestapo, director of the economy, and head of the Luftwaffe–Albert despised the Nazis and all they stood for. Throughout the twenties, Hermann’s association with the Nazis so strained the brothers’ relationship that they didn’t speak for over a decade, but they reconciled in the 1930s, while Albert was working in the film industry in Vienna. As Nazi policies grew ever more cruel and radical, Albert, who never allowed “Heil Hitler” to be uttered in his presence, used the best weapon he had against the Third Reich: his knowledge of his brother’s vanity. Albert would ask his brother to save Jews from concentration camps and guarantee their passage out of the Reich. This the elder Goering, who delighted in any opportunity to demonstrate the extent of his authority and impress his brother, would do. Albert’s efforts on the behalf of Jews brought him increasingly into the sights of the Gestapo, which after 1934 was no longer under his brother’s direct control. Orders to detain and arrest Albert were common, but were always quashed when word reached Hermann, who wouldn’t refuse his brother. The BBC did a feature on Albert in 1998, and in 2009, an Australian, William Hastings Burke, wrote “Thirty-Four,” a biography of Albert, who made a list in prison of 34 people he claimed to have saved, though the number was in the hundreds, according to others. He saved Oskar Pilzer, a Jewish president of an Austrian film production company, who was arrested in 1938. Albert Goering, using his family name, got him released. Der Spiegel adds, “A number of notes turn up in German files that prove these stories were not simply made up. The Gestapo’s Prague bureau, for example, complained that Goering’s office at the Skoda factory was ‘a veritable nerve center for ‘poor’ Czechs.’ The general of the Prague police… considered Albert Goering ‘at the very least, a defeatist of the worst sort’ and asked permission to arrest him in 1944 on ‘profound grounds for suspicion.’” Nothing came of it. After the war, the U.S. held Albert Goering for two years. He was unable to convince them of his sentiments against Nazism. Put on trial in Prague, Albert was saved when the workers in the Skoda plant organized to testify on his behalf. But the Goering name stuck with Albert, who descended into penury and alcoholism in the years after the war. He died in 1966, almost forgotten. Today, efforts are underway to add Albert Goering’s name to the list of the Righteous Among the Nations, an honor limited to those who risked their lives to save Jews during the 12-year disaster of the Third Reich. To what degree Albert truly risked his life is debatable. But his story is unique and deserves greater recognition than it has to date received. 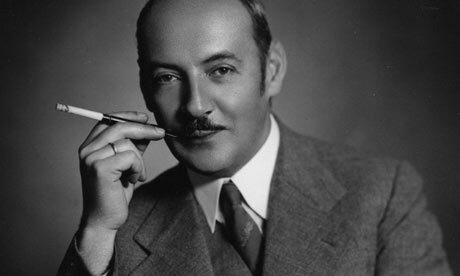 A story about Albert Goering in The Guardian. Next up. Reinhard Heydrich, head of the SD and the Reich’s Main Security Office. Next: Next post: Where Did Spam Come From? And What Does It Mean?